Agriculture in the Pacific: Check this out! "ACCESS AGRICULTURE"
This might be of interest and very useful to yous .. distribute this out to your networks please. Access Agriculture is an international NGO which showcases agricultural training videos in local languages. Here you can see examples of videos, download them or order a DVD copy. The audio tracks can also be downloaded by radio stations. This is a platform for agricultural R&D staff, service providers, extension agents, communication professionals and representatives of farmer organisations to see what training videos are available and request new language versions. 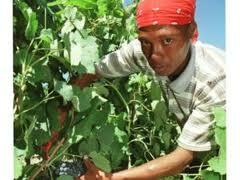 The videos are all designed to support sustainable agriculture in developing countries. For maximum impact in improving opportunities for farmers explore Access Agriculture. Be part of a platform for change.